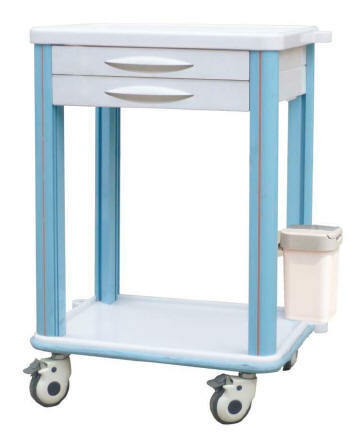 ABS body, metal ball bearing rail, A-aluminum columns, B-plastic-steel columns, dust basket, concave top covered with transparent soft plastic glass, centralized lock, 4 small and 2 big ABS drawer each inner with partitions can be well organized, drawer can be repositioned easily, luxurious noiseless casters. 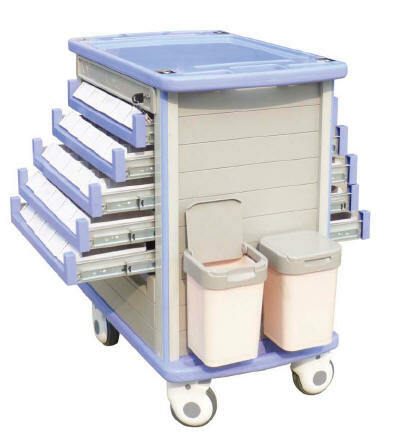 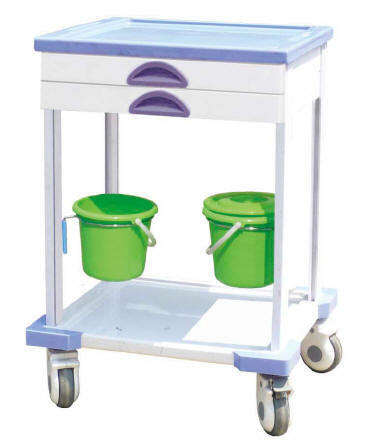 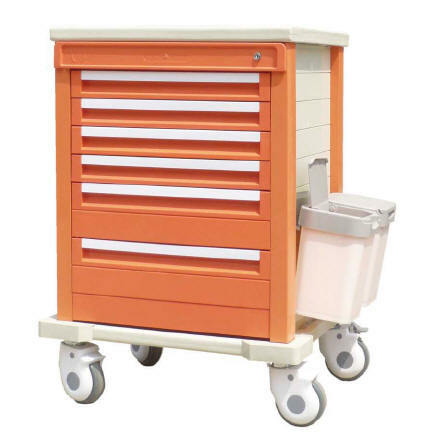 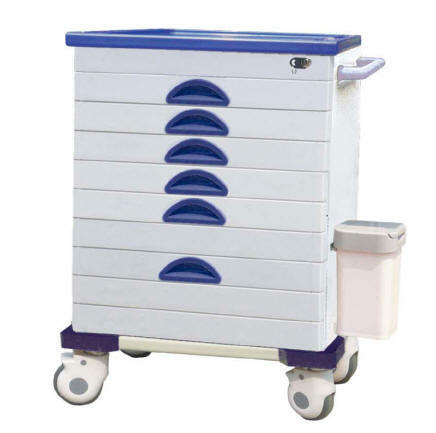 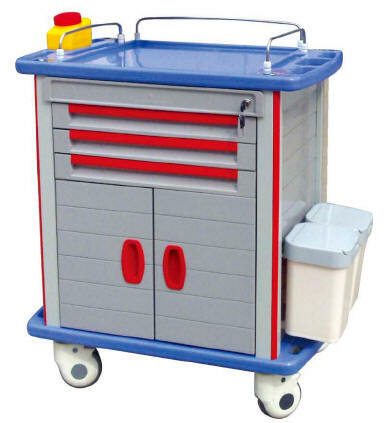 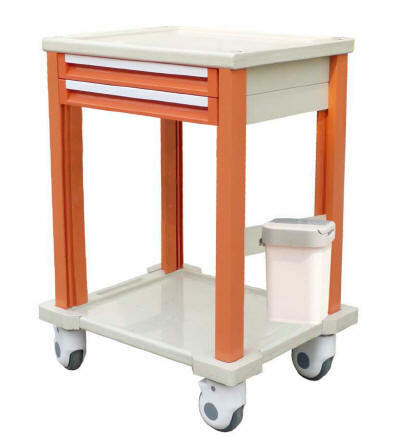 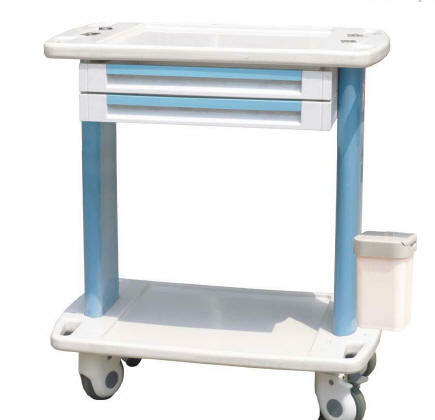 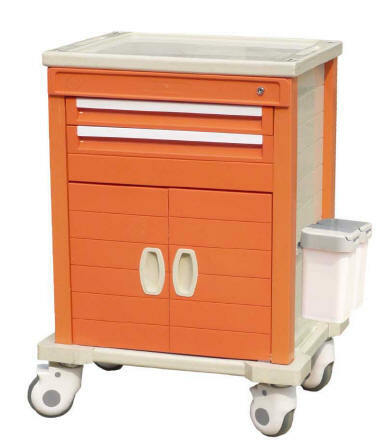 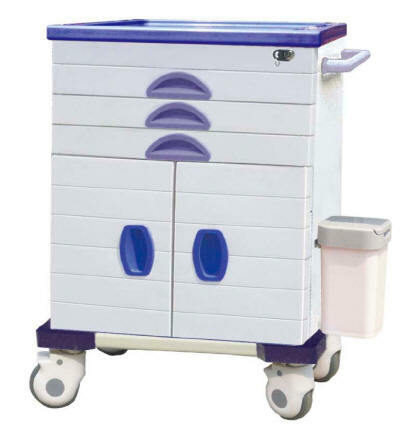 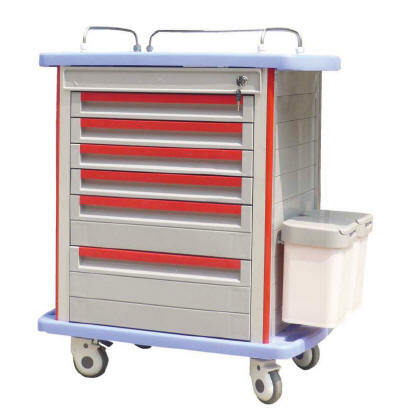 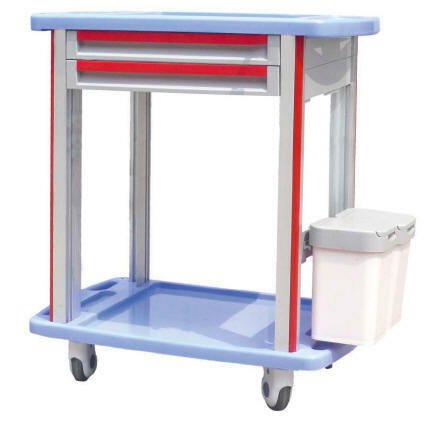 Product Code: M402 850 x 520 x 950mm Medicine Trolley ABS body, metal ball bearing rail, A-aluminum columns, B-plastic-steel columns, dust basket, concave top covered with transparent soft plastic glass, centralized lock, 4 small and 2 big ABS drawer each inner with partitions can be organized, drawers can be repositioned easily, luxurious noiseless casters. 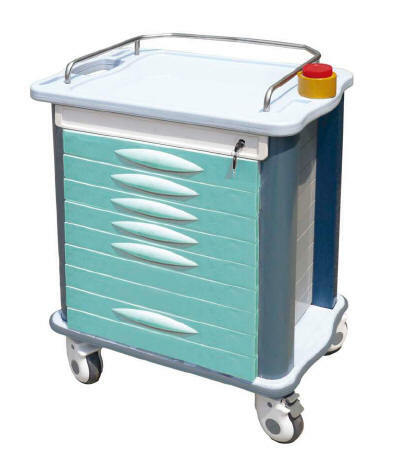 ABS body, metal ball bearing rail, A-aluminum columns, B-plastic-steel columns, dust basket, concave top covered transparent soft plastic glass, centralized lock, 4 small and 2 big ABS drawers each inner with partitions can be organized, luxurious noiseless casters. 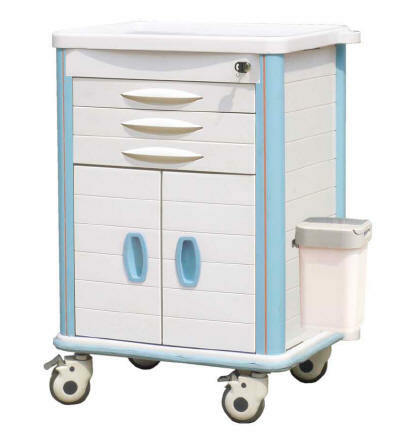 ABS body, metal ball bearing rail, A-aluminum columns, B-plastic-steel columns, dust basket, concave top covered with transparent soft plastic glass, centralized lock, 4 small and 2 big ABS drawers each inner with partitions can be well organized, luxurious noiselss casters. 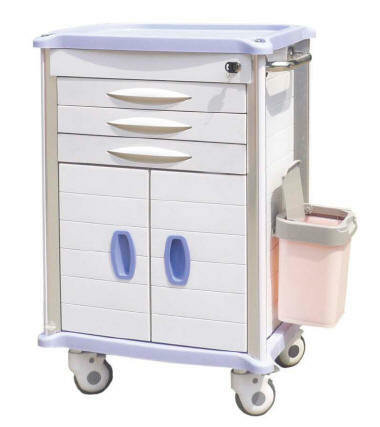 ABS body, metal ball bearing rail, plastic-steel columns, dust basket, utility container, double sides with sliding side shelf, concave top covered with transparent soft plastic-glass, centralized lock, 4 small and 2 big drawer, inner with partitions can be well organized, luxurious noiseless casters. 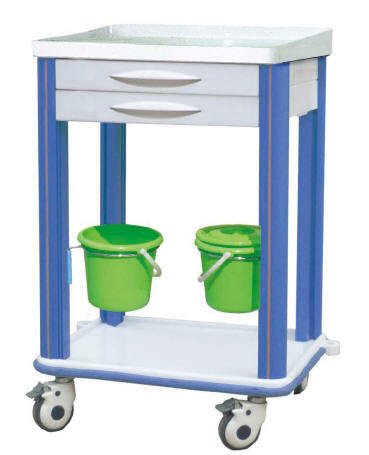 ABS body, metal ball bearing rail, A-aluminum columns, B-plastic-steel columns, dust basket, concave top covered with transparent soft plastic glass, centralized lock, 4 small, inner with partition can be well organized, drawer repositioned easily, with a pare container bottom, luxurious noiselss casters. 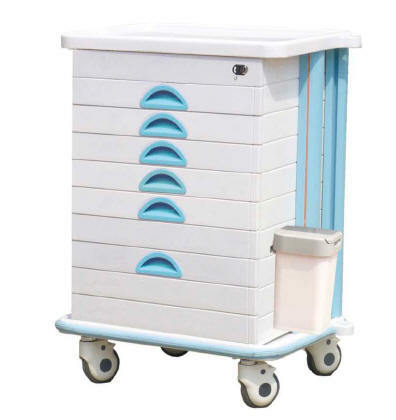 ABS body, metal ball bearing rail, E-aluminum columns, F-plastic-steel columns, dust basket, concave top covered with transparent soft plastic glass, centralized lock, 3 small drawer and doors, inner with partitions can be well organized, luxurious noiseless casters. 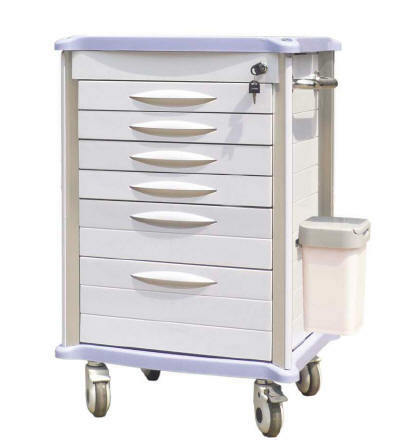 ABS body, metal ball bearing rail, E-aluminum columns, F-plastic-steel columns, dust basket, concave top covered transparent soft plastic glass, centralized lock, three small ABS drawer and doors each inner with partitions can be well organized, drawer canbe repositioned easily, luxurious noiseless casters. 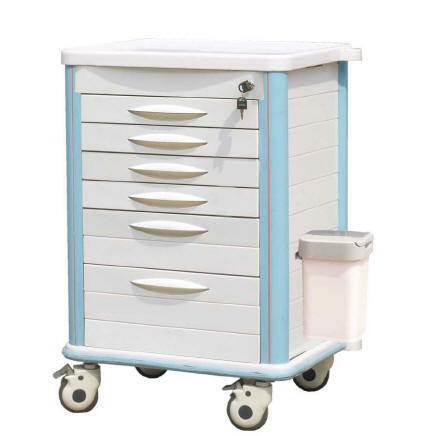 ABS body, metal ball bearing rail, E-aluminum columns, F-plastic-steel columns, dust basket, concave top covered with transparent soft plastic, centralized lock, three small ABS drawers and doors each inner with partitions can be well organized, luxurious noiseless casters. 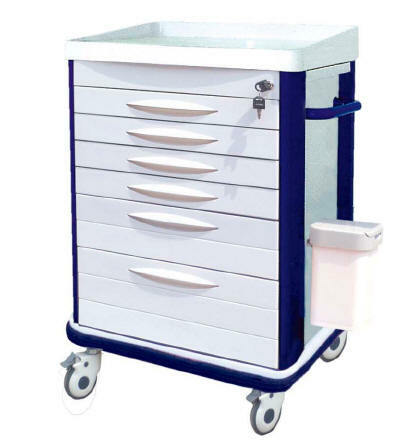 ABS body, metal ball bearing rail, aluminum columns, IV pole, dust basket, utility container, file bag, multi bin container, concave top covered with transparent soft plastic glass, centralized lock 3 small and 1 big drawer, inner with partitions can be well organized, luxurious noiseless casters. 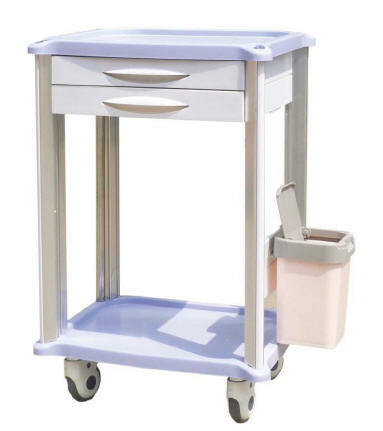 ABS body, metal ball bearing rail, C-aluminum columns, plastic-steel columns, dust basket, concave top covered with transparent soft plastic glass, two ABS drawers each inner with partitions can be well organized, drawer can be repositioned easily, luxurious noiseless casters. 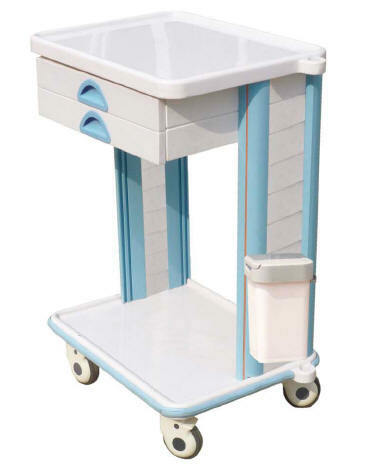 ABS body, metal ball bearing rail,C-aluminum columns, plastic-steel columns, dust basket, concave top covered with transparent soft plastic glass, two small ABS drawer each inner with partitions can be well organized, drawer can be repositioned eaily, luxurious noiseless casters. 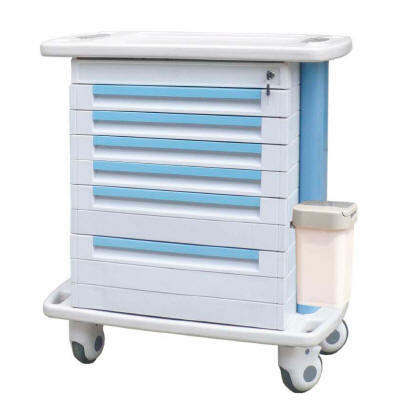 ABS body, metal ball bearing rail, C-aluminum columns, plastic-steel columns, dust basket, concave top covered with transparent spft plastic glass, centralized lock, two small ABS drawers each inner with partitions can be organized, luxurious noiseless casters. 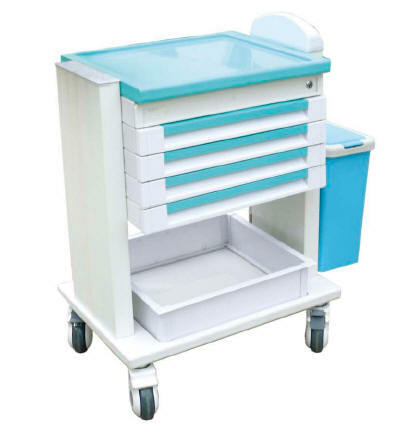 ABS body, metal bearing rail, C-aluminum columns, plastic-steel columns, dust basket, concave top covered with transparent soft plastic glass, two small ABS drawer each inner with partitions can be well organized, drawer can be repositioned easily, luxurious noiseless casters.